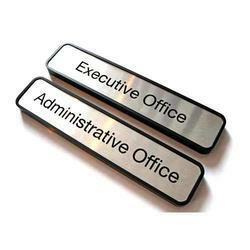 Metal Engraving Name Plate offered comprises quality finished and precisely engraved name plate choices that can be made available in different metal choices as well as in different size and shape options to pick from. 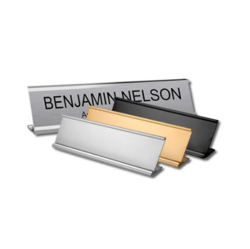 We can offer these name plates in color options like silver, gold, antique brass and other options. Some of its features include durable finish; available in any PMS colour; can be embossed or de-bossed with custom message. 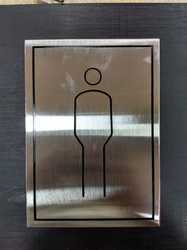 We Are Manufacturer for Etching Plates which can be Used for Washrooms, Restaurants, Schools, Colleges etc. 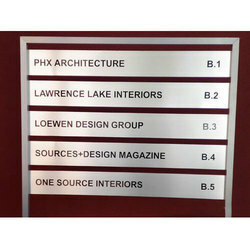 We are catering to the demands of our clients by offering a wide range of Aluminum Name Plate. In order to cater the numerous necessities of the patrons, we have been able to provide a wide range of Stainless Steel Etching Plate. Pocket Batch have a high-quality finish which is widely demanded in many corporate offices and government entities. 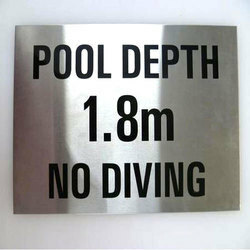 Steel Engraving Plate Warning & Indicating Sign offered comprises quality finished and precisely engraved name plate choices that can be made available in different metal choices as well as in different size and shape options to pick from. We can offer these name plates in color options like silver, gold, antique brass and other options. Some of its features include durable finish, available in any PMS colour, can be embossed or de-bossed with custom message.